Everyone seems to have the flu, but I only have Olympic Fever. 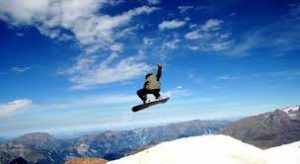 Oh, those snowboarders as they sail into the sky, twisting and turning and landing perfectly, like, no biggie I just defied gravity and landed on a snowy skateboard. Athletes at their best are poetry in motion.